They'll make your kitchen, your wallet and your belly happy. Good food storage is worth the investment because it means you won't waste money throwing away food that could have been saved — and you'll easily be able to reheat and reserve meals. 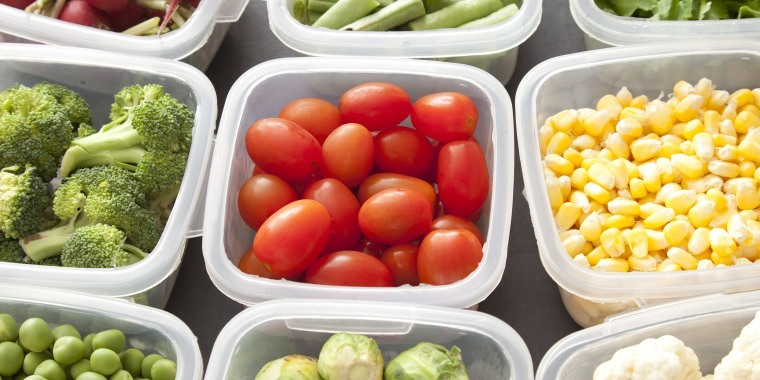 Whether you’re trying to save money and calories by taking your lunch to work, or just want to keep bugs out of your dry ingredients, these containers can make your kitchen (and your belly) a happier place. Also available in a six-piece set for $14 at Walmart. These on-the-go glass containers are beloved by magazine editors and consumers alike. They’ve been thoroughly tested — dropped, placed in bags on their side, heated and frozen — and they hold up every time with no leaks thanks to the snap-lock tops. They are BPA-free and safe for the oven, freezer and microwave, so you can cook, store and reheat all in the same container, and then clean them in the dishwasher. Also available for $40 at Target. Dread standing in line for the office microwave? Worry about people stealing your lunch from the communal fridge? Skip all that with this bento lunch jar, which keeps hot foods warm and cold foods cool for up to six hours. The main body has three containers inside to separate hot and cold foods. Plus, the whole thing is vacuum-insulated. And if you do want to reheat your food, the containers are microwave-safe without the lids. This helps transport lunch essentials in one convenient and sleek package. 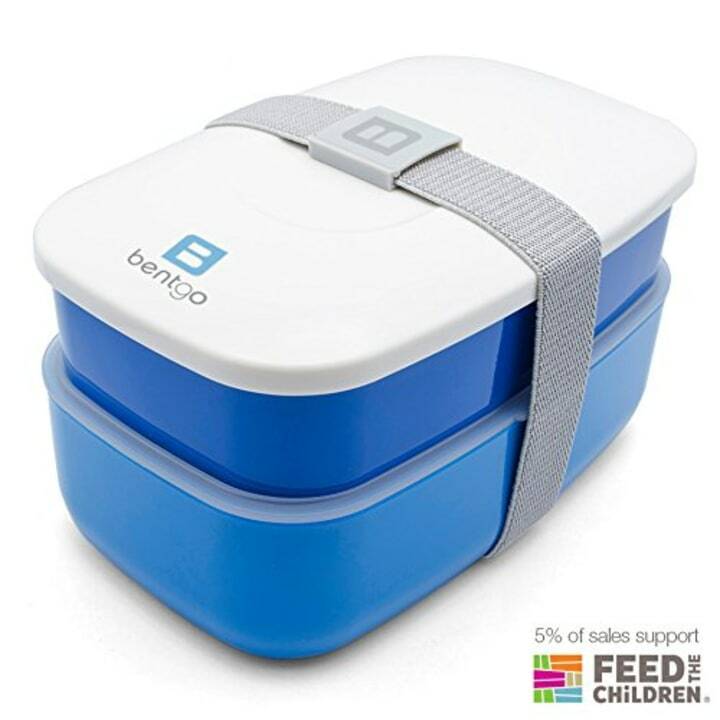 The Bentgo lunchbox comes with two stacked containers, one of which has two compartments, as well as a fork, spoon and knife. The containers are also microwavable, dishwasher-safe and BPA-free. Also available in a 14-piece set for $30 at Walmart. 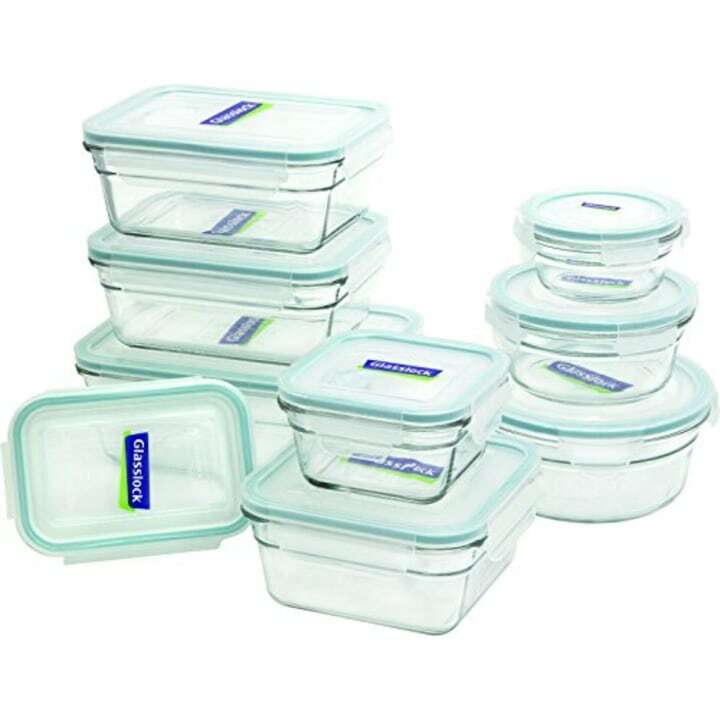 Looking for plastic containers? 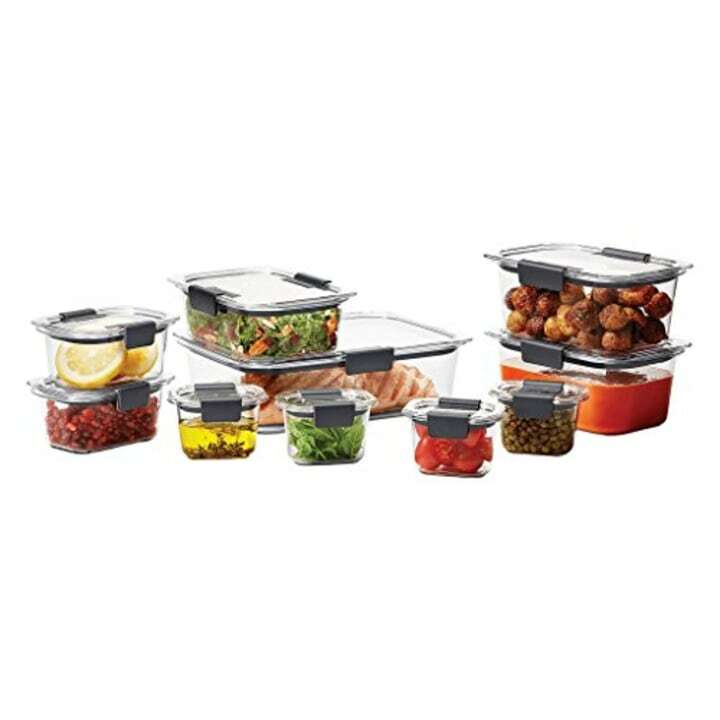 This set by Rubbermaid is also BPA-free, microwavable, and leakproof. 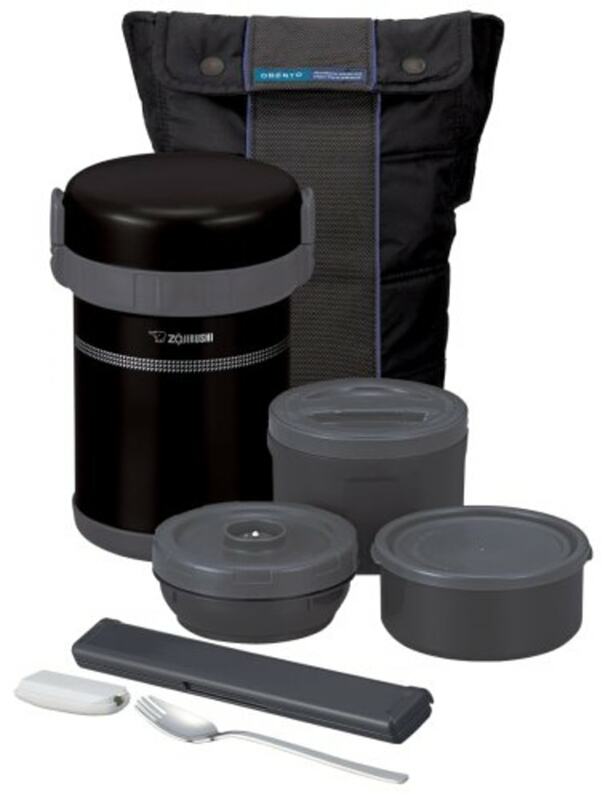 It comes in a variety of sizes, built to carry everything from salad dressing and sauces to mains and sides in their own containers. Also available for $12 at Walmart. Turn regular bowls into storage containers without wasteful foil or plastic wrap. 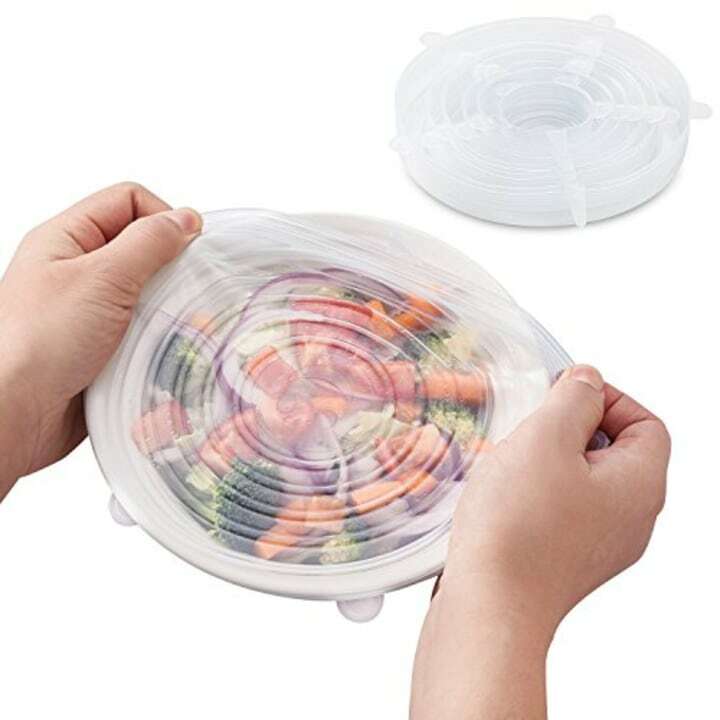 These silicone lids provide an airtight seal on leftovers. They're dishwasher and microwave-safe, so they can stay on while reheating food, preventing those nasty splatters all over your microwave. Before you scoff at the price, think about how many times you’ve found a bug in your white sugar or flour, or had brown sugar harden because the bag wasn’t properly sealed. 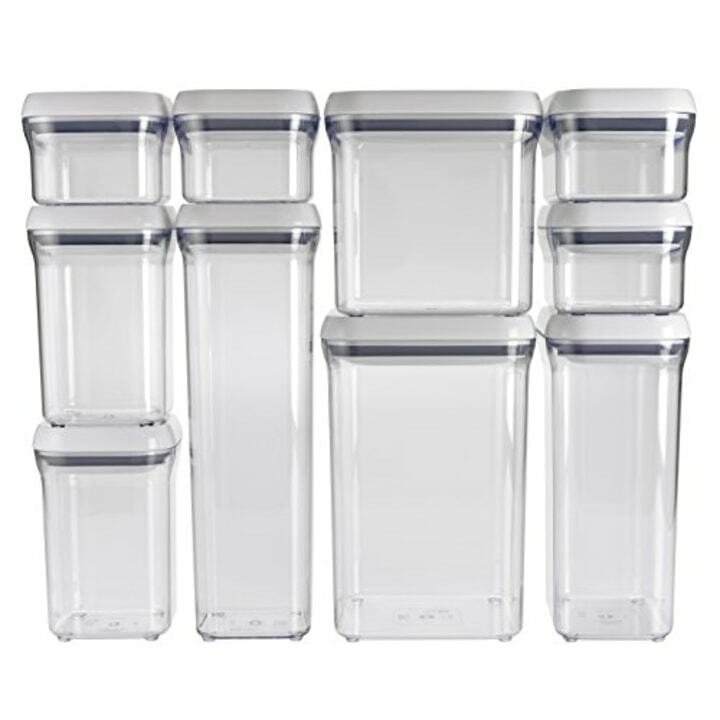 This set includes 10 containers and lids in different sizes. The largest can hold a 5-pound bag of flour or sugar. They all have airtight seals and are BPA-free, so they’re the perfect way to seal in freshness for dry goods while keeping out critters. Also available in a pack of 10 for $13 at Walmart. 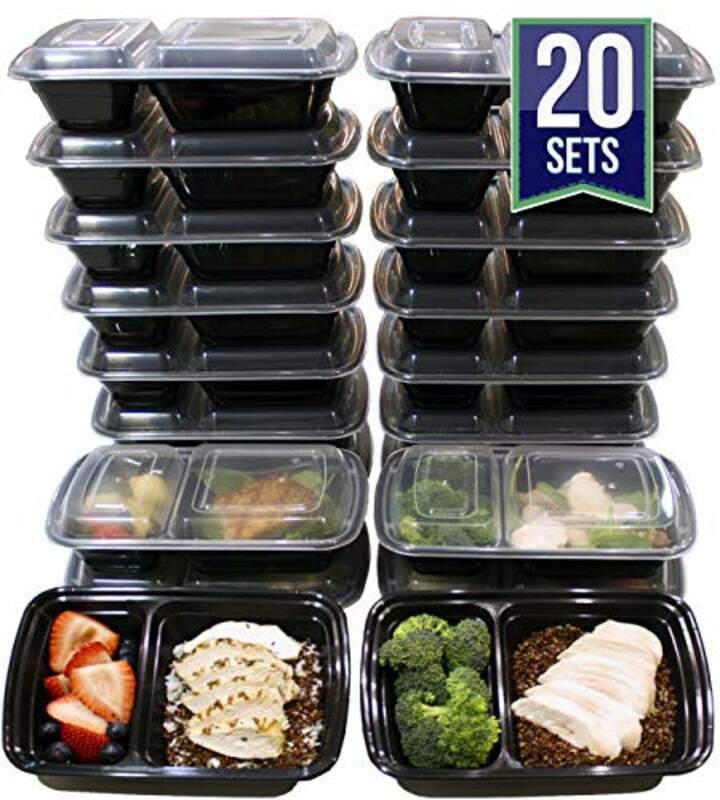 Convenient to-go food containers like these are a necessity for meal prep. Make a week of meals over the weekend and then store and reheat them in these double-compartment containers. While they aren’t meant to last forever, it's possible to get great mileage out of these stackable containers that are safe for both the microwave and dishwasher. They're also BPA-free. Need help with portion control? TODAY Health also wrote about a lunch container that tracks what you eat and helps you stay on diet. Also available in a 19-piece set for $56 at Walmart. 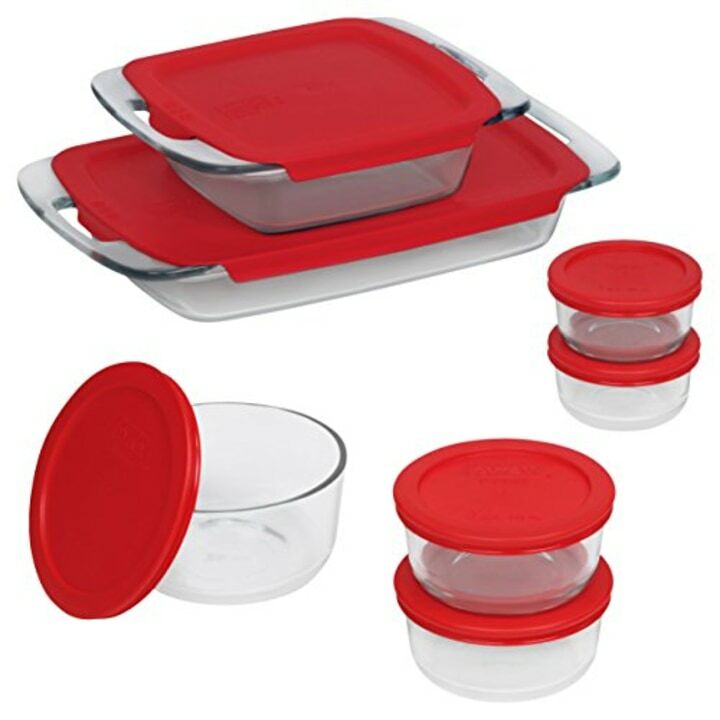 Perfect for a potluck or for storing baked leftovers, this set from Pyrex allows home chefs to bake, store and carry food in one container, thanks to tight-fitting lids. The 3-quart oblong baker and 8-inch square baker are particularly great for this. You’ll be the life of the party when you walk in with a fresh casserole or brownies. Now that you have your storage containers, it's time to actually make something to put in them! Use one of our favorite slow cookers, pressure cookers, or grills to cook something healthy for the family tonight.